The following links are family-friendly bulletins that explore relevant parenting topics. Explore the links below, and click MORE…to view archived bulletins. The following is an individual unofficial copy of policy F24. To obtain an official copy of this and any other policies, please contact the OCSU or your local school. The designated employee at Barton Academy & Graded School is Principal Kim Wheelock. * When your child is absent, please call the school! * When there is a delayed opening at school, breakfast is not served. For more information about the upcoming assessment and the schedule click on the button below. In an effort to bring an exciting science opportunity to our school next year, the BPC and our school is looking for community volunteers willing to donate a few hours a month to support a collaboration with the Four Winds Nature Institute. For more information about the program and information about how to become a volunteer, please click on the button below. 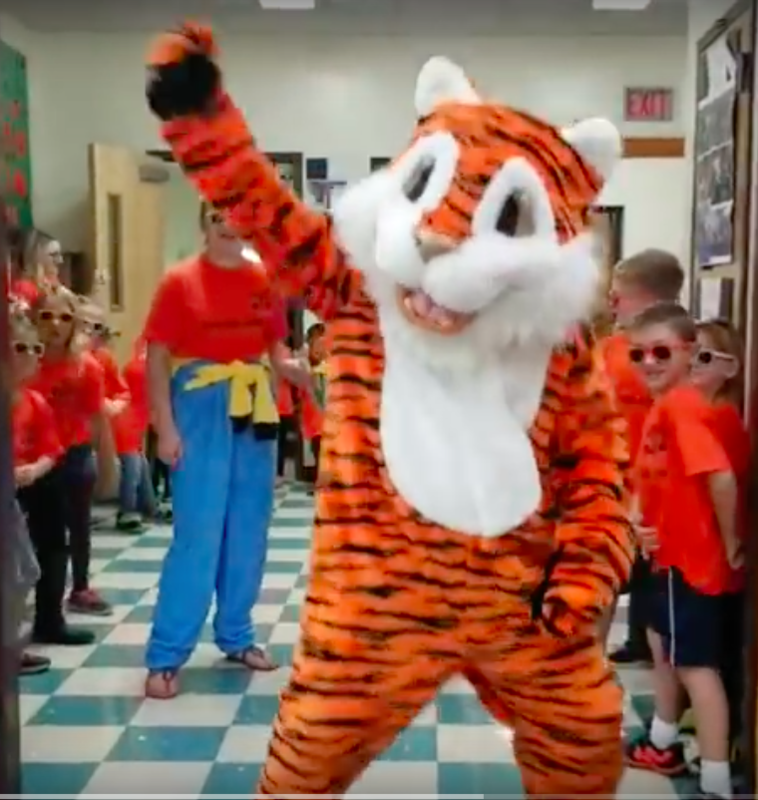 Tiger Pride runs rampant through the halls and rooms at BAGS. Watch and feel the pride -- Tiger Pride! BAGS lip dub: Can't Stop the Feeling! Many thanks to the BAGS Parent’s Club and our local C&C Supermarket in conjunction with Associated Grocers of New England’s Neighbor 2 Neighbor program for the generous donation to BAGS. Our students and staff appreciate the generosity of our local community and retailer. What a way to start the new school year! Our monthly meetings, held on the first Wednesday of the month, are open for anyone to join at any time. If you would like to help support the Barton Parent's Club and the students at Barton Graded School, come check us out! ​If you have any questions, please email bartonparentsclub@gmail.com or call 802-525-3073. Get All the News ​& Stay in Touch! BAGS wants to make sure you receive all the latest school news and information that is important to you and your children. As our families and school move into the 21st century, the school will be using technology to reach out to our families. Please make sure that your current email is on file with the school’s office so that you receive all the newsletters and announcements that are specific to your children’s grade levels. Please call the office and speak to Lynda Kinsley (802.525.3636). Please contact Lynda Kinsley, administrative assistant, if you need help accessing the portal or if you did not receive your information in the mail. Student Early Dismissal 11:40 a.m. Copyright © 2019 Barton Academy & Graded School. All rights Reserved.